It is with great joy that Safari Club International Foundation announces a new partnership with the Bell family by establishing the Bell Family “Pay It Forward” Blue Bag program in memory of Amy D. Bell, daughter of Larry and Ellen Bell of Midland, TX. 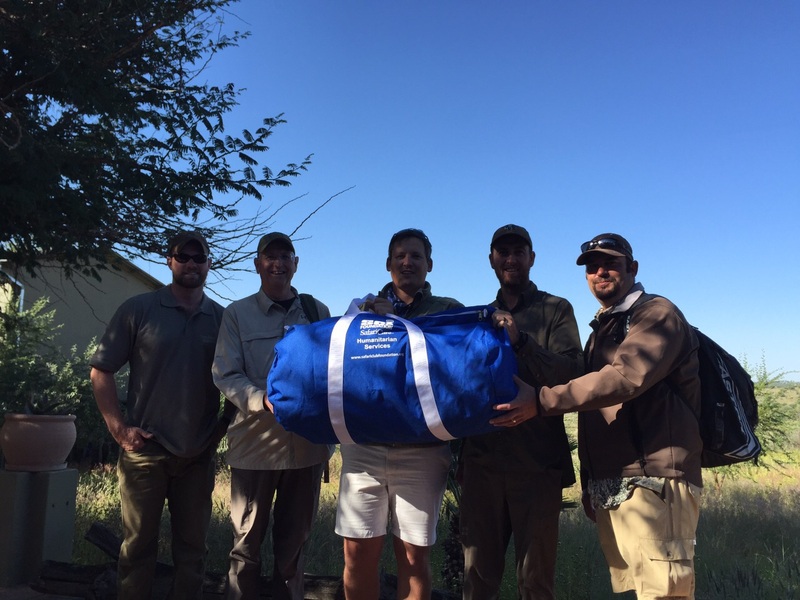 While the Blue Bag program is a long standing SCI Foundation program, this partnership will put a new emphasis on the generosity and support of the SCI hunting family. Blue Bags are filled with medical, educational, and other relief supplies, or clothing and toys. 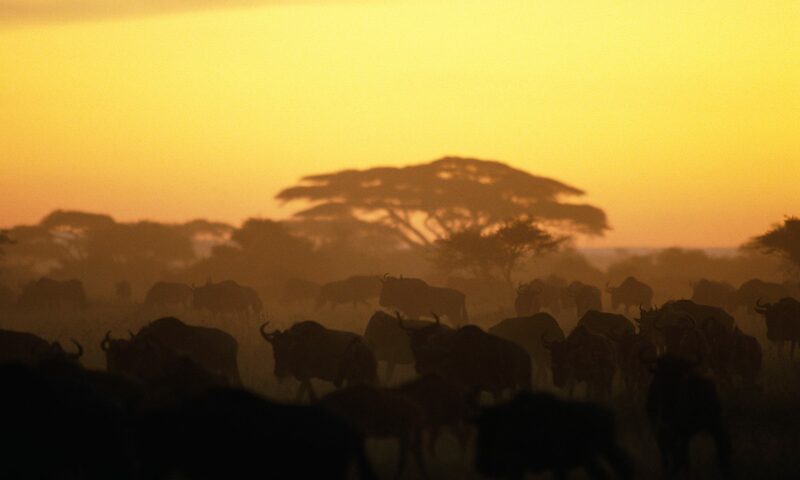 The Bags are taken to remote areas of the world by hunters who have planned hunts in these regions. The supplies are delivered directly to villages, clinics, orphanages and schools, doctors, caretakers and teachers to use with people in need. The Bell family believes that spreading the word about this Blue Bag program in a more deliberate way we can bring more attention to this pattern of giving by hunters. Hunters are routinely “Paying It Forward” to those less fortunate all over the world. By making a significant contribution to this important Foundation project, the family will continue Amy’s legacy of philanthropy around the world. 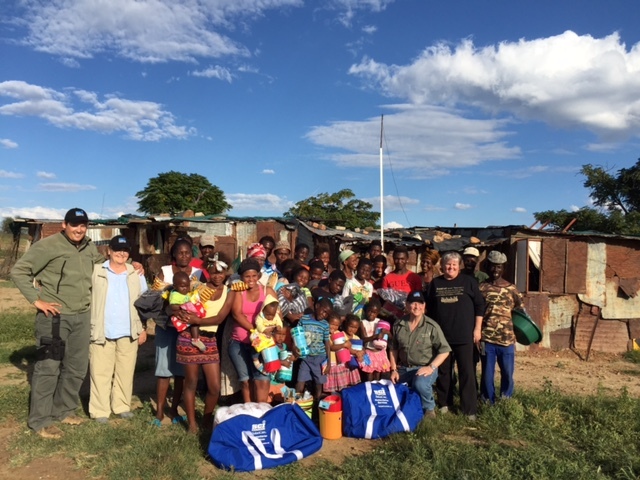 On a recent African safari to Namibia, Margaret and Ronnie Williams and their PH from Omujeve Hunting Safaris, Japsie Blaauw sponsored two Blue Bags. Along with the Bell family, they handed out blankets, food, plastic buckets and pails, spoons, plastic bowls and cups, soap and washing powders. They even brought some candy for the children. The recipients of the Blue Bags were very happy and appreciative.